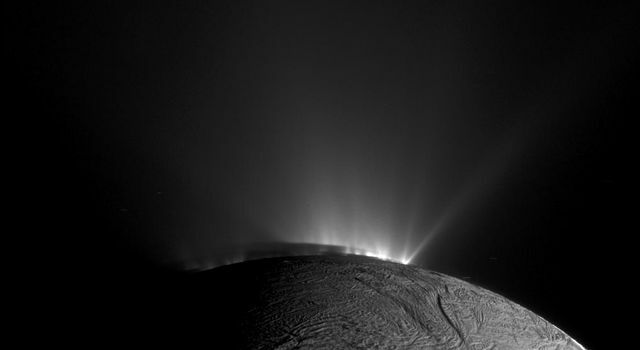 Other recent science highlights include promising hints about the structure and composition of the icy rings, along with high-resolution images of the rings and Saturn's atmosphere. Cassini is now in the 15th of 22 weekly orbits that pass through the narrow gap between Saturn and its rings. The spacecraft began its finale on April 26 and will continue its dives until Sept. 15, when it will make a mission-ending plunge into Saturn's atmosphere. 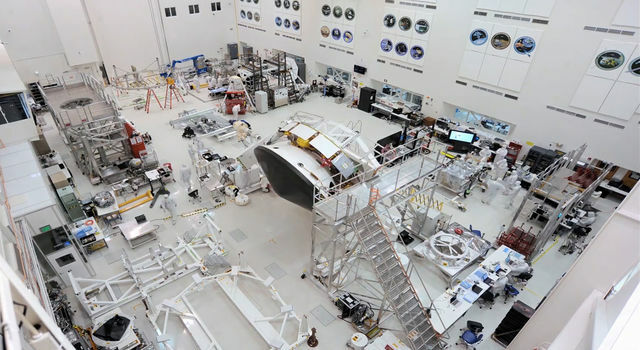 "Cassini is performing beautifully in the final leg of its long journey," said Cassini Project Manager Earl Maize at NASA's Jet Propulsion Laboratory, Pasadena, California. "Its observations continue to surprise and delight as we squeeze out every last bit of science that we can get." Cassini scientists are thrilled as well -- and surprised in some cases -- with the observations being made by the spacecraft in the finale. "The data we are seeing from Cassini's Grand Finale are every bit as exciting as we hoped, although we are still deep in the process of working out what they are telling us about Saturn and its rings," said Cassini Project Scientist Linda Spilker at JPL. Based on data collected by Cassini's magnetometer instrument, Saturn's magnetic field appears to be surprisingly well-aligned with the planet's rotation axis. The tilt is much smaller than 0.06 degrees -- which is the lower limit the spacecraft's magnetometer data placed on the value prior to the start of the Grand Finale. This observation is at odds with scientists' theoretical understanding of how magnetic fields are generated. Planetary magnetic fields are understood to require some degree of tilt to sustain currents flowing through the liquid metal deep inside the planets (in Saturn's case, thought to be liquid metallic hydrogen). With no tilt, the currents would eventually subside and the field would disappear. Any tilt to the magnetic field would make the daily wobble of the planet's deep interior observable, thus revealing the true length of Saturn's day, which has so far proven elusive. 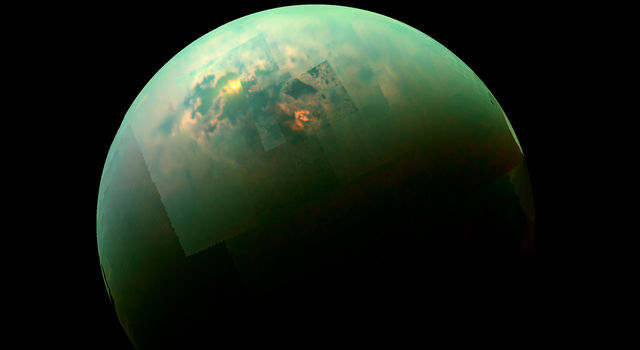 "The tilt seems to be much smaller than we had previously estimated and quite challenging to explain," said Michele Dougherty, Cassini magnetometer investigation lead at Imperial College, London. "We have not been able to resolve the length of day at Saturn so far, but we're still working on it." The lack of a tilt may eventually be rectified with further data. Dougherty and her team believe some aspect of the planet's deep atmosphere might be masking the true internal magnetic field. The team will continue to collect and analyze data for the remainder of the mission, including during the final plunge into Saturn. The magnetometer data will also be evaluated in concert with Cassini's measurements of Saturn's gravity field collected during the Grand Finale. Early analysis of the gravity data collected so far shows discrepancies compared with parts of the leading models of Saturn's interior, suggesting something unexpected about the planet's structure is awaiting discovery. 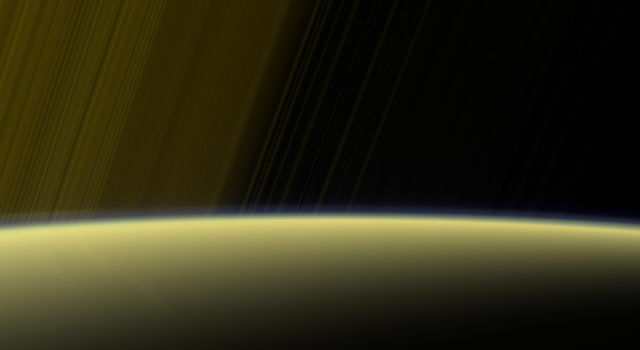 In addition to its investigation of the planet's interior, Cassini has now obtained the first-ever samples of the planet's atmosphere and main rings, which promise new insights about their composition and structure. 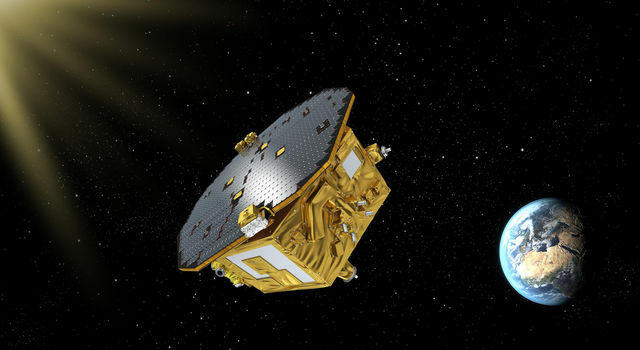 The spacecraft's cosmic dust analyzer (CDA) instrument has collected many nanometer-size ring particles while flying through the planet-ring gap, while its ion and neutral mass spectrometer (INMS) has sniffed the outermost atmosphere, called the exosphere. During Cassini's first dive through the gap on April 26, the spacecraft was oriented so its large, saucer-shaped antenna would act as a shield against oncoming ring particles that might cause damage. While at first it appeared that there were essentially no particles in the gap, scientists later determined the particles there are very small and could be detected using the CDA instrument. 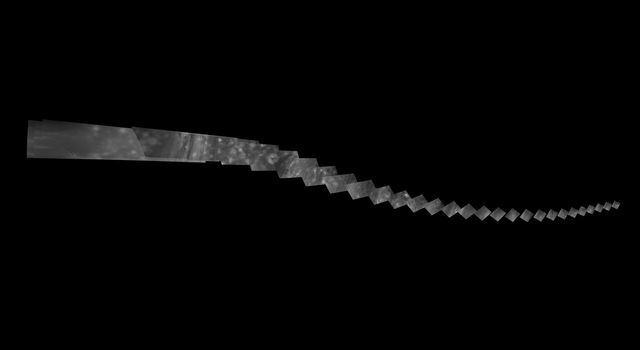 The cosmic dust analyzer was later allowed to peek out from behind the antenna during Cassini's third of four passes through the innermost of Saturn's main rings, the D ring, on June 29. 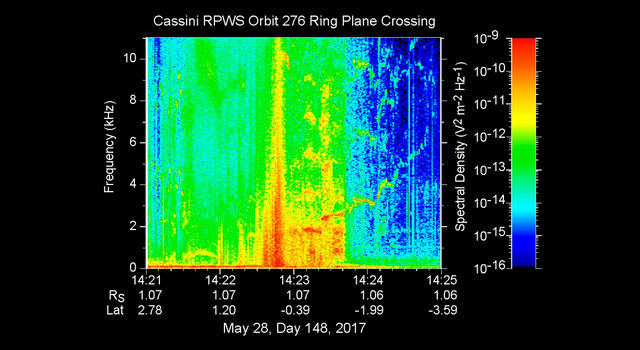 During Cassini's first two passes through the inner D ring, the particle environment there was found to be benign. This prompted mission controllers to relax the shielding requirement for one orbit, in hopes of capturing ring particles there using CDA. 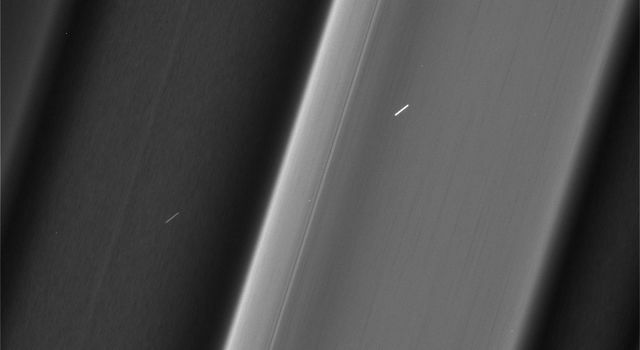 As the spacecraft passed through the ring, the CDA instrument successfully captured some of the tiniest particles there, which the team expects will provide significant information about their composition. During the spacecraft's final five orbits, as well as it final plunge, the INMS instrument will obtain samples deeper down in the atmosphere. Cassini will skim through the outer atmosphere during these passes, and INMS is expected to send particularly important data on the composition of Saturn's atmosphere during the final plunge. 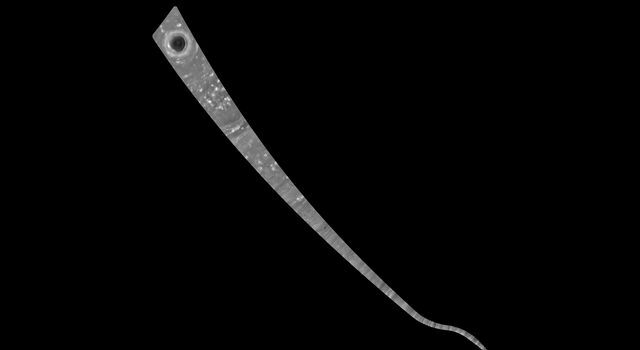 Not to be outdone, Cassini's imaging cameras have been hard at work, returning some of the highest-resolution views of the rings and planet they have ever obtained. 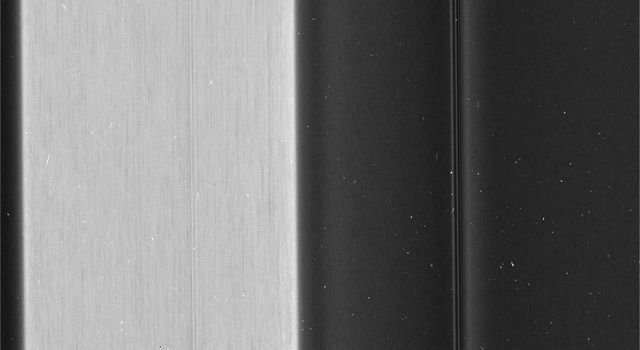 For example, close-up views of Saturn's C ring -- which features mysterious bright bands called plateaus -- reveal surprisingly different textures in neighboring sections of the ring. The plateaus appear to have a streaky texture, whereas adjacent regions appear clumpy or have no obvious structure at all. Ring scientists believe the new level of detail may shed light on why the plateaus are there, and what is different about the particles in them.